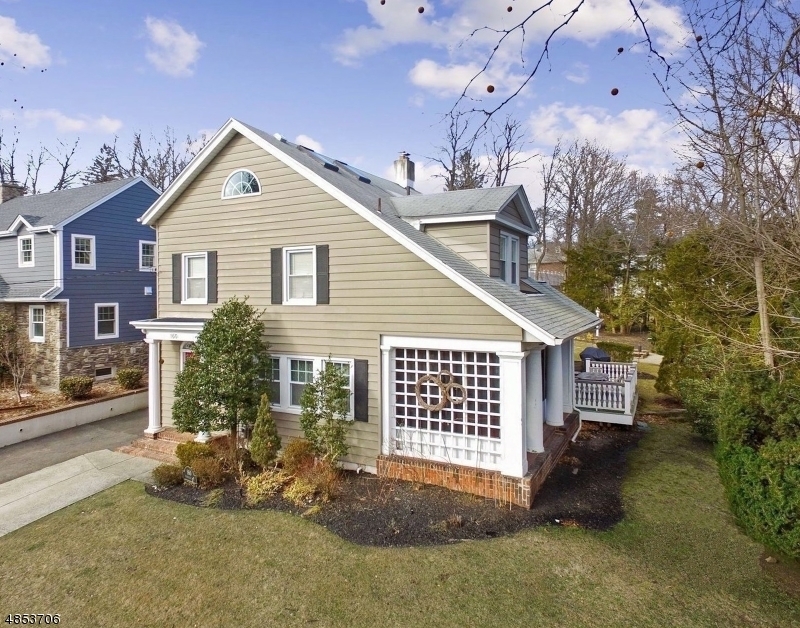 Live in a very spacious, beautifully renovated Side Hall Colonial full of amazing amenities & details on a great block. It's a perfect home to entertain and to relax in. There's a Chef's kitchen w Viking stove, stainless, island, 2 dishwashers, endless pantry & eat-in area...Open sliding glass doors from kitchen to deep yard which includes a patio & deck. Back around there's a 3-season side porch, built-in lawn sprinkler system & attractive stone wall. To-die-for master suite w big walk-in closet, master-bath & sitting area. 3rd floor boasts big guest-room w a classic eyebrow window, skylights,full bath & office/bed. Fine details incl fireplaces (decorative),glass sliders/stylish heating grates/pocket doors/columns/SONOS sound system, comprehensive security system, CAC w/Aprilaire sys.